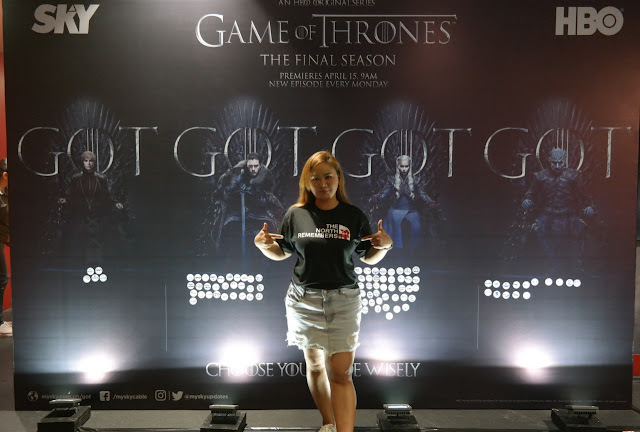 There are so many things happening to hype up the GOT fans around the world while they eagerly await the premiere of Season 8. We are what? 1-2 days away from it? Gosh I don't know what to feel, I'm so ready for it but also not quite ready for it to end. 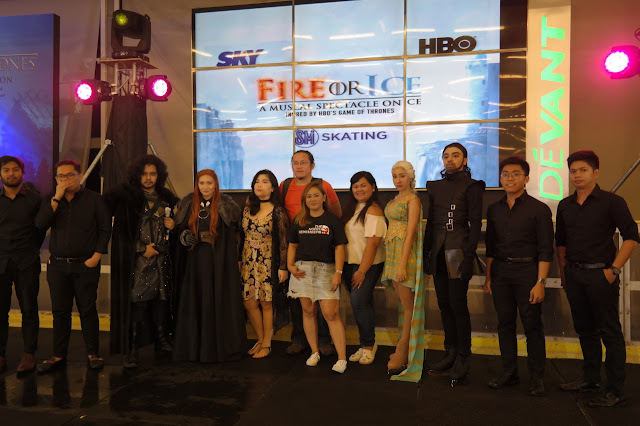 One of the events that I attended in line with the Game of Thrones Season 8 premiere happening on April 14, 2019 is Sky Cable’s and HBO's Fire or Ice: A Musical Spectacle on Ice. 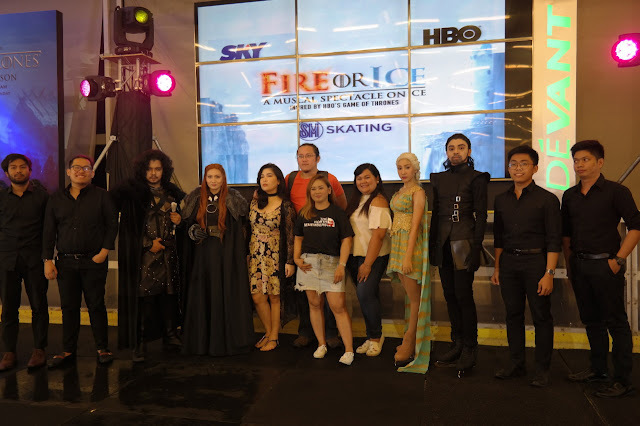 With mere days before the premiere of the final season of #GameofThrones, SKY and HBO gave fans a glimpse of Westeros with a figure skating show inspired by HBO's hit series. 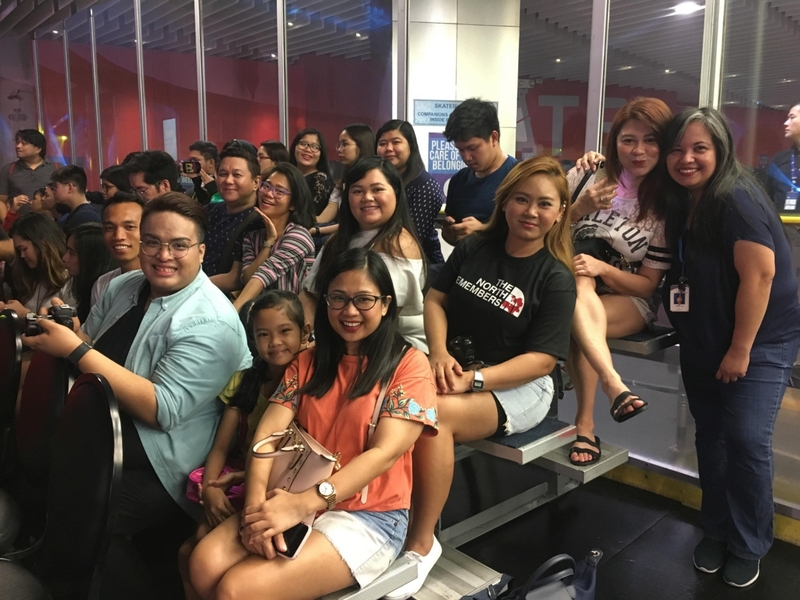 This happened last Friday and Saturday at SM Megamall's Ice Skating Rink at the SM Fashion Hall. The show started with a performance of the GOT theme song (the one you hear during the opening credits) by 4G String Quartet. Gosh! 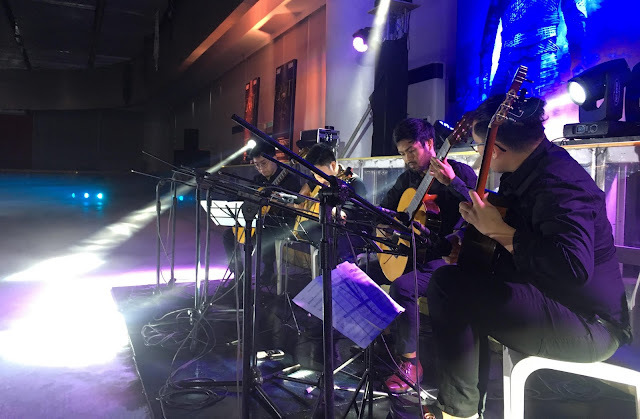 I had goosebumps and got almost teary eyed while they were playing. Yeah, the GOT geek in me just can’t help but hum along as they played. It was glorious!!! 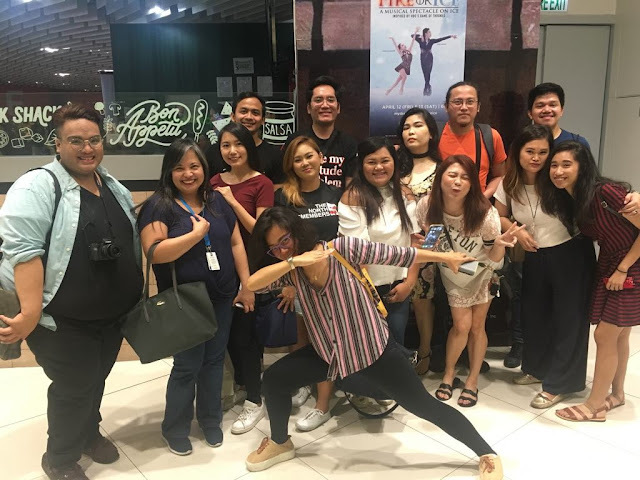 And then afterwards are the Filipino skaters performing their pieces. High-level skating coach Joel Minas skated as Jon Snow to the tune of “Winter Has Come”. Sofia Guidote of the Philippine National Figure Skating team, as Daenerys Targaryen, came next and skated with the tune of “Dracarys”. An intermission came after again by the 4G String Quartet. And as a finale Joel Minas and Sofia Guidote figure skated with the tune of Main Title aka The Game of Thrones Theme, which all songs composed by acclaimed Iranian-German score composer, Ramin Djawadi. I wasn't a fan of figure skating then, but after watching Olympic Bronze Medallist Adam Nippon’s performance I started becoming a fan and appreciate this sport. And my God the two figure skaters, performed so gracefully on ice and it was one of the effin glorious things I've seen in my life! Sorry for cursing but my emotions were so up there that I couldn’t express my thoughts without doing so hahaha! 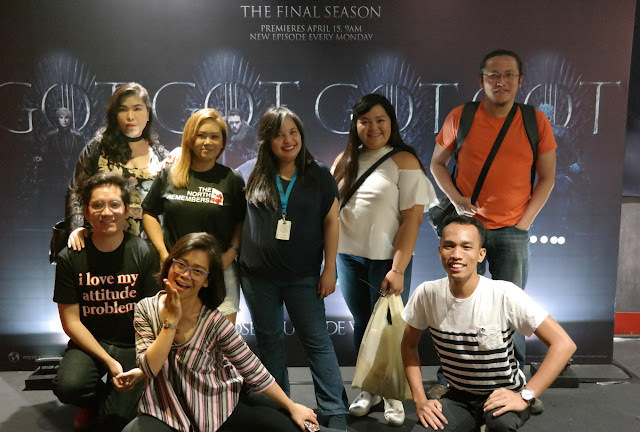 After the program we also got to do photo ops with Joel Minas and Sofia Guidote plus the cosplayers Jon Snow and Sansa Stark. 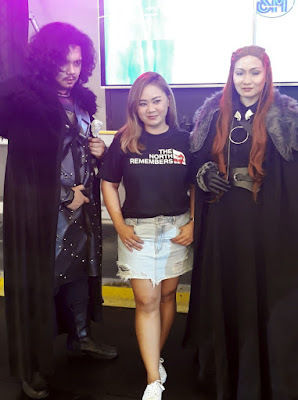 And of course, as a fan rooting for House Stark since day 1, I had to take solo photos with Jon and Sansa, because winter is here! I have no direct involvement with anything close to Game of Thrones’ creators; just a mere viewer and a fan, but it’s one TV show I will treasure for the rest of my life and will share with my future kids (when they’re older and mature enough to watch). It’s bitter sweet to say goodbye to GOT but I’m excited to know how the story finishes. I just hope a Stark rises victorious in the end. It‘s just too hard to say goodbye to Westeros and to Game of Thrones. Need to catch up on GOT? 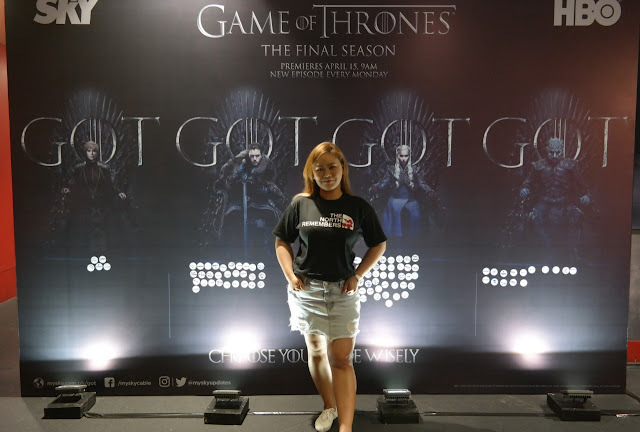 SKY Subscribers can re-watch all their favorite Game of Thones episodes, easily and for free with HBO GO available for free trial until April 15. Don’t forget to tune in to the final season premiere of Game of Thrones on April 15, Monday, at 9:00AM and you can catch the last 6 episodes (for sure they will be epic!) on HBO on Sky Cable and HBO Go. Thank you so much to Sky Cable and HBO for making this happen! #ForTheThrone!